Esther Lanotte is part of the International Arbitration and Dispute Resolution Practice. She represents clients in various Belgian litigation in commercial, corporate and finance law including in the banking, aviation and construction sectors. She also has experience advising clients in criminal investigations. Aside from her litigation practice, Esther has assisted clients on a wide range of corporate and financial transactions in the banking sector, as well as the gas, electricity and oil industry. Esther was Research and Teaching Assistant in EU Law and Public International Law at the University of Louvain (UCL 2018). She holds a law degree from the University of Louvain (UCL 2013). During her education, she took part in an exchange program at the Università LUMSA, Rome, Italy. In addition, she graduated with an LL.M degree in International Legal Studies from the New York University School of Law (NYU) (USA). 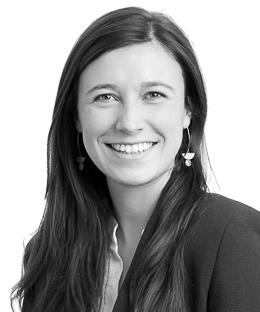 Esther is a member of the Brussels Bar since 2018 and joined Liedekerke Wolters Waelbroeck Kirkpatrick in 2019.